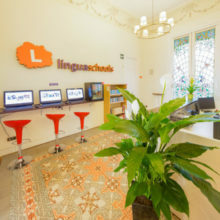 Linguaschools Spanish Language School in Barcelona proves that learning Spanish should be an immersive, memorable experience. This beautiful school is located in the heart of Barcelona in a historic late 19th-century modernist-style house with a private garden. From its prime location to its rigorous, engaging curriculum, Linguaschools is the perfect place to learn Spanish in Barcelona. Linguaschools Barcelona has 10 spacious classrooms with natural lighting, a student computer area, free WIFI, a small library, a lovely garden, and two roof terraces. All teachers at Linguaschools are native Spanish speakers with University degrees and plenty of experience providing Spanish lessons in Barcelona. High intensity means you'll have a perfect balance between free time and a rigorous study pace. You’ll be able to enjoy your life in Spain while taking these Spanish courses in Barcelona. Linguaschools Barcelona believes that it's easier to learn Spanish in Barcelona when having fun. For this reason, teachers make each class as dynamic and interactive as possible. 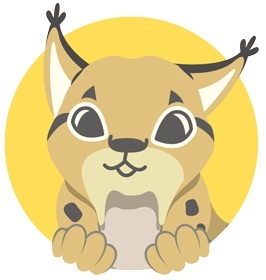 The purpose of the school's social activity program is to help the students interact with each other and school staff while learning the Spanish language and culture. Linguaschools Barcelona organizes different weekly activities such as Yoga or beach volleyball. These events offer the perfect opportunity to learn Spanish in Barcelona! The Instituto Cervantes is a worldwide non-profit organization established by the Spanish government. This organization is committed in improving the quality of institutions teaching Spanish. The CSN is an authority of the Swedish Government that provides financial aid to Swedish students. This Spanish language school is accredited by CSN. Therefore, Swedish students are able to get financial support for their Spanish courses. Germany recognizes the Spanish language courses at this language school as Bildungsurlaub. As a result, students can transfer academic credit from the school to their home institution. If you haven’t had the chance to study Spanish before, don’t worry! You can start as a complete beginner at this school. The school offers a pick-up service from the closest airport. The school offers free Wi-Fi in common areas. Barcelona is one of the most dynamic cities in the world. In this amazing city, you will discover the Spanish culture, food, art, architecture, beaches, nightlife, and much more. Barcelona has many artfully decorated winding streets, creating magic corners all over the city. This Spanish language school in Barcelona is located on a peaceful and pedestrianized street in a beautiful modern 19th-century house, the perfect location to learn Spanish in Barcelona. The General Spanish Course includes 20 lessons per week of 55 minutes each to learn Spanish in Barcelona. The course immerses students in the Spanish language from day one. Staff arranges small groups (2 to 10 students) according to their level of Spanish. Every day, the course is divided into two parts with different teachers. Linguaschools Barcelona focuses its Spanish lessons on all language skills: grammar, listening and reading, comprehension, writing, vocabulary, and conversation. A unique immersive experience is a part of what makes this a leading Spanish course in Barcelona. Do you prefer a more immersive experience? School usually starts every Monday of the year (except for absolute beginners). Private lessons one to one available throughout the year. These Spanish lessons are available all year long, so you can learn at your own pace. Specific courses for the preparation of the DELE exam (Diploma of Spanish as Foreign Language). DELE are the official titles certifying Spanish proficiency for non-native speakers. During this course, the students will work on their conversation skills. This course is available for all levels starting from A1. The conversation course at Linguaschools Barcelona has 10 group lessons of 55 minutes each every week. Students of all ages are welcomed. Senior students also study Spanish in this school, so the course doesn’t have any age limit. Note: The total costs above include classes, placement test, course materials, use of school facilities, free internet (Wi-Fi), free welcome drink, some social activities and certificate of attendance (80% of attendance is required). We partner with Spanish language schools in the most important cities in Spain! Our team has studied and is living in Spain, therefore we can give you not only our expert advice and service, but a personal understanding to your questions and doubts. Disclaimer: Go! Go! España always aims to provide a fantastic service to all of our students. However, being a free service means our operating range is limited. That's why we recommend our students to do their own research as well as listening to our advice. Let us know about your plans for living and studying in Spain. We'd like to hear you out and we'll also be able to help you better that way. We aim to reply to our students within 3 business days. However, during peak times or due to public holidays, on occasion it might take a bit more time. But don’t worry, we’ll be in contact as soon as possible!